For over a year, transactional data testifies to two opposite pricing trends in fancy color diamonds: consistent demand-driven price increases for pink and more notably blue diamonds, partially offset by continued price declines in lower-cost, commercial yellow diamonds. Prices of blue and pink diamonds increased 1.2% and 0.5%, respectively, in the third quarter. Prices of yellow diamonds declined by 0.1%, more than during the second quarter of the year. Overall, prices in the fancy color diamond category climbed by 0.4% for the period. During the same period, prices of white diamonds continued sliding, a multi-year trend by now. The strongest price performers during Q3 2016 were the fancy vivid blue and fancy pink categories across all carat sizes, appreciating by 6.7% and 3.1%, respectively. On the other side, price declines of between 1-3% were reported for all yellow categories, including fancy, intense and vivid. However, trader interviews reveal that certain intense and vivid yellow diamond shapes such as rounds, pears and emeralds, did not experience price declines. For the 12 months ending October 2016, the Fancy Color Diamond Index appreciated by 0.9%, driven by price increases for blue and pink diamonds of 3.2% and 1.7%, respectively, and offset by a 1.6% decline in prices of yellow diamonds. The Fancy Color Diamond Index is calculated based on live pricing inputs from a large sample of the world’s leading traders of fancy color diamonds in Asia, the United States and the Middle East. 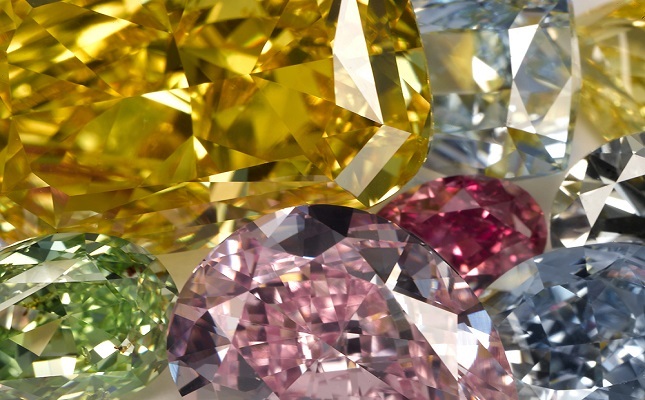 The Index is published by the non-profit Fancy Color Research Foundation (FCRF), and tracks pricing data for yellow, pink and blue fancy color diamonds. According to FCRF Advisory Board member Ephraim Zion, “High quality, rare fancy color diamonds, especially vivid blues and vivid pinks, have continuously demonstrated their price resilience, as their supply is very limited, effectively neutralizing the effect of economic conditions on consumer demand.” He added that “On a positive note, it seems that prices for yellows are beginning to stabilize as inventories in the U.S. are running low, after a long period of sluggish demand."